Charlotte Center City Partners is presenting an Urban Living Showcase this weekend to show you the many residential, dining, nightlife, and entertainment options in Uptown, Midtown, and South End. 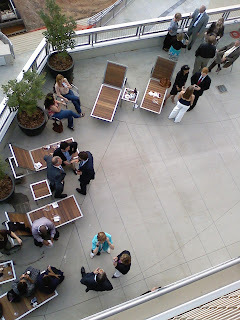 They held a premiere party last evening at the MetTerraces at the Metropolitan complex in Midtown that I attended. Just from taking a tour of this new development I can tell you that you have a lot to look forward to if you choose to tour some of the more than dozen properties being featured, including Ashton South End, Catalyst, The Arlington, The Trust, Trademark, and more. 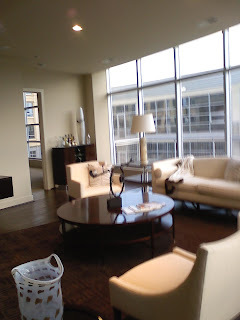 It's cool to look inside beautiful condos and penthouses and see how some people live. 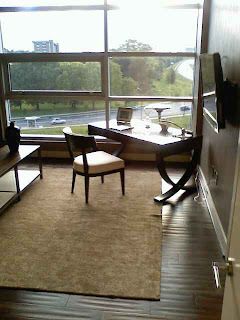 I took a few pictures (pardon the quality; I used my camera phone) from inside one of the condos at the Met. 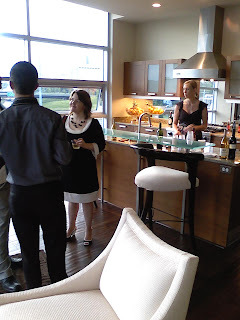 On the second floor they had an empty unit open that served as the reception area, and on the fourth floor was a fully furnished unit with the same layout. It was like looking at a before and after. The Urban Living Showcase is a free event on Saturday, 10 a.m.-3 p.m. You can go on a self-guided tour or have one of the trolleys take you around. Visit www.findyourcenter.com for more details.